I recently got my hands on a preliminary copy of the 2017 Back To Basics Living Bundle. All I can say is my, oh my, it's even better than last year's! What is the Back To Basics Living Bundle? 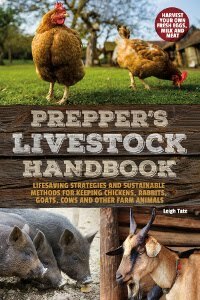 It's a collection of eBooks by self-reliance, preparedness, and homesteading authors, sold as a package deal (bundled) for a fraction of the cost of buying them individually. It's interesting because it isn't preplanned so that authors are assigned or sign up for specific topics. We submit what we wish and both years the bundle has offered a really nice variety of how-to topics. I really love that this year's bundle is very different from last year's. The first thing I keyed in on was all the cooking, gardening, food preservation, and food storage eBooks. After all, the primary focus of homesteading is on producing our own food, and there's a lot of good information offered in this department. This year's bundle is loaded with charts and how-tos: preservation planning, pantry organization, food storage program, plus canning, freezing, dehydrating, pickling, fermenting, cheese making, sourdough, even how to use fruit scrap waste from cooking and canning. Recipe books include real food, scratch cooking, paleo, and gluten free. Offerings for gardeners include the basics plus herb gardening, edible landscaping, even a coloring book for gardeners. 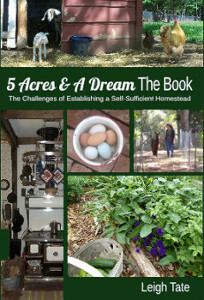 Then there are books on natural remedies, natural parenting, homeschooling, preparedness, simple living, off-grid living, a number of interesting DIYs, and more on homesteading. Also included are a couple of e-courses. You get a link with login information to take the course online. Something else I like is that these are all PDFs, which means they can be printed out for preparedness notebooks. I guess the only bad thing is that it's not a permanent collection, which means it will only be available for the week of January 16 through 22, and then that's it. The titles, price, bonus offers, and other specifics are in the process of being finalized, so I'll have more information on all that soon. If you'd like to receive an email reminder about the sale when it starts, click here to sign up. There is no obligation to buy if you sign up. If you're interested in becoming an affiliate and earning a little cash by selling the bundle yourself, click here to sign up for that. Thank you for sharing this information on useful resource material. Wow, I never knew such a thing existed! Thank you for the heads up, I missed them last year but I signed up for the reminder for this year. This is a really neat project. We need things like this to be available in every format possible for new homesteaders! Great source for info. Have a wonderful January, Leigh! Hannah, thank you for commenting! It's given me a chance to find your website - I like it!